The Louisiana Bar Foundation named LSU Law Dean Tom Galligan as recipient of the Distinguished Professor award and alumnus Judge D. Milton Moore III (’76) as Distinguished Jurist award recipient. Both winners will be honored at the 33rd Annual Fellows Gala on April 5, 2019, at the Hyatt Regency New Orleans. Recognition is given to those individuals who, by reason of his or her professional activities, have distinguished themselves in their chosen profession and have brought credit and honor to the legal profession. Galligan has served as dean of the LSU Law Center since July 2016 and is the James Huntington and Patricia Kleinpeter Odom Professor of Law. He previously served as president of Colby-Sawyer College in New London, N.H., from 2006-16 and dean of the University of Tennessee College of Law from 1998-2006. After earning his J.D. 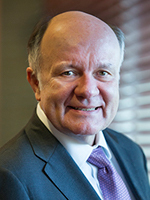 from the University of Puget Sound (now Seattle University) School of Law and his L.L.M from Columbia University Law School, Galligan taught torts, admiralty, UCC sales, remedies, comparative tort law and advanced tort theory at the Paul M. Hebert Law Center, where he was named the Dr. Dale E. Bennett Professor of Law in 1997 and was honored by the students as the Outstanding LSU Professor six times. 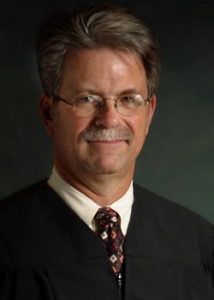 Judge Moore has served on the Second Circuit Court of Appeal as an Appellate Judge since 2003. Moore earned his J.D. from LSU Law in 1976, and went on to practice private law for 12 years. He was elected to the Fourth Judicial District Court in 1988, and was re-elected to the court in 1990 and 1996. He was named Chief Judge from 1997-98 and presided over the first Treatment Drug Court in the district. Judge Moore has also served as a member of LSU Law’s Board of Trustees until 2018.